Danny Boyle To Direct Musical Comedy, But Will It Impact 'Bond 25'? 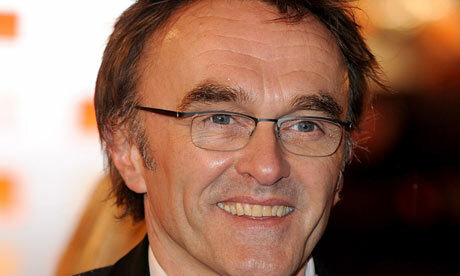 While most other directors would be jumping through hoops to get a shot at directing James Bond, Danny Boyle is not most other directors. He may be MGM's top choice for the gig, and even writing his own script to make it happen, but he's got options. And when a chance to scratch a long-standing itch comes up he's ready to jump at it. THR and Baz Bamigboye reveal that Boyle is set to join with Richard Curtis (Love Actually) on a musical comedy, and it could take Boyle out of the 007 hunt completely. The project is being described as a contemporary musical-themed comedy set in the 1960s or '70s and following a struggling U.K. musician. If everything can come together in terms of casting, Boyle would begin shooting this summer. Curtis would pen the script for Boyle to direct. Boyle has always had his eyes on doing a musical, and was openly chatty about it during the run-up to T2 Trainspotting. He's taken shots at doing one before, but usually just ended up incorporating music video elements into his films. This would give him the chance to a proper musicalWhether it impacts his ability to direct the next James Bond film is up in the air, so we will just have to wait and see how it plays out. We could see Bond 25's release date moved back if MGM is set on keeping Boyle around.